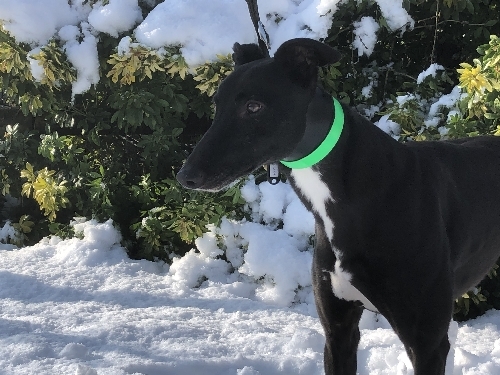 Kipper was born on 1st June 2014 and has now been homed – 12/3/19. 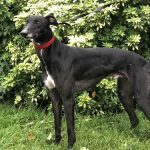 He is a tall, affectionate, black, male who becomes more confident as he gets to know you. 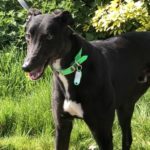 Kipper is a gentle boy who walks nicely on lead and he enjoys going out for his walks. 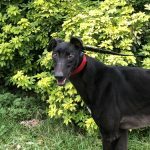 He loves to be around familiar people, having a lot of fuss and cuddles, he is a boy with a very happy tail! He loves his food and will eat his meals very nicely for you. 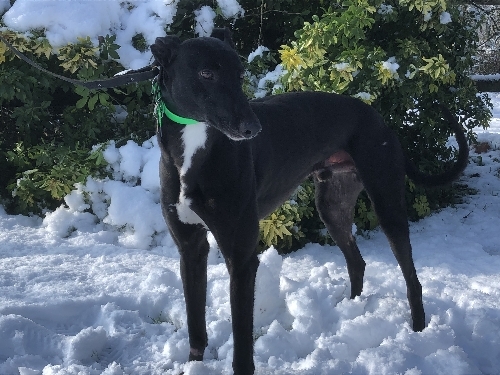 Kipper could be homed as a companion to a female greyhound or in a home of his own. He would be fine to be left for a few hours whilst someone worked. Kipper could live with children over the age of 8 years. He enjoys chasing after a thrown toy, he especially likes soft cuddly toys, balls and squeaky ones! He is a very good boy and will either bring them back for you to throw again or will drop them nicely. 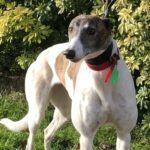 Kipper has met other breeds of dog and after careful introductions we feel Kipper could be trained to live with smaller breeds of dog. 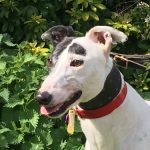 Kipper has currently not been tested with cats, we hope to carry this out soon. 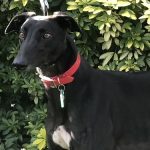 He joined us on 30/1/19, as we get to know him better more information will be available. 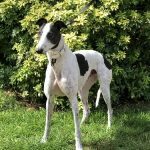 This entry was posted in Greyhounds Homed and tagged Featured, Friendly, Gentle, Homed, Playful by Lucy.